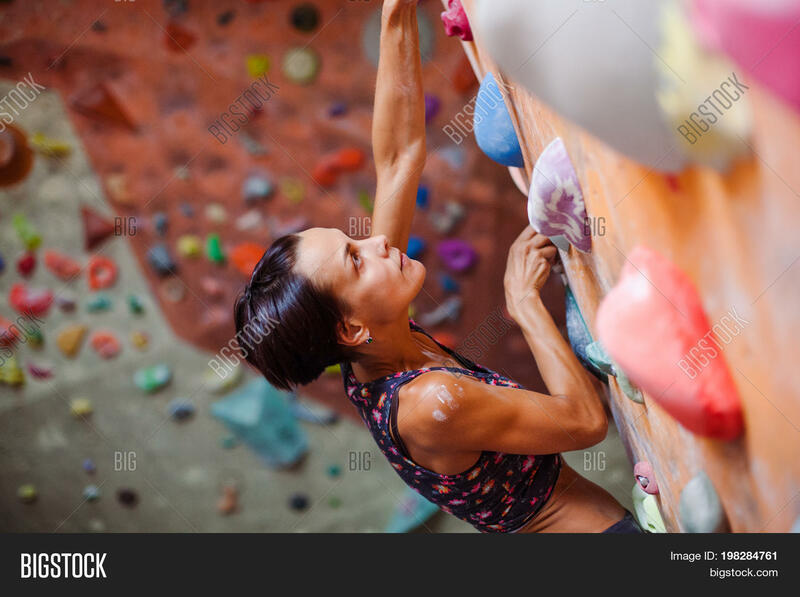 Climbing on a climbing wall. 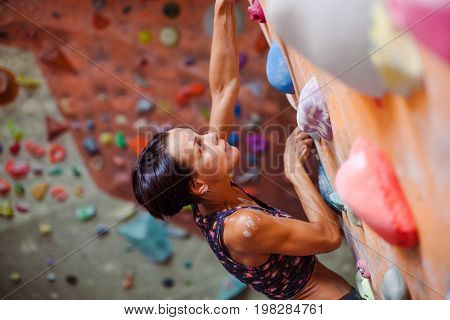 The climber is climbing the route in the hall. Bouldering in the city.